Häßler spent his early playing days in the youth team of Reinickendorfer Füchse. He began his professional career in 1984 with 1. FC Köln of the Bundesliga, for whom he played six successful years, helping the club to become German vice-champion in 1989 and 1990. Soon after winning the 1990 World Cup with the German national team in Italy, Häßler transferred to Juventus for a sum of DM15 million. He spent only one year in Turin before he decided to join another Italian club, AS Roma, for a fee of DM14 million. 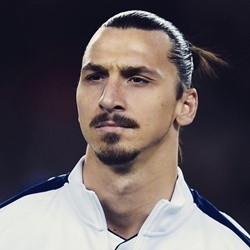 This time he stayed for three years, making 88 appearances and scoring 11 goals. In 1994, however, Häßler wanted to return to the Bundesliga. In spite of offers from some of the biggest German clubs, he decided to sign with Karlsruher SC in a DM7 million deal, the highest transfer sum the club has ever spent. In the following three years, Karlsruhe and its new key player managed to achieve positions in the upper third of the table which resulted in UEFA Cup participations in 1996-1997 and 1997-1998. Through winning the UEFA Intertoto Cup in 1996, Karlsruhe not only reached the UEFA Cup but also accomplished to throw out Häßler's former club AS Roma in the second round of the tournament. In the first leg of the third round, Häßler scored twice in his team's 3-1 win over Brøndby IF in Copenhagen. However, only a short time after this win Häßler received the first big injury in his career when he broke his leg in a league match against Fortuna Düsseldorf. Without its captain, Karlsruhe played a catastrophic second leg and was eliminated from the tournament through a 0-5 home defeat. With a recovered Häßler, Karlsruhe saved the 1996/97 season by achieving a sixth place in the Bundesliga which meant another year of international football competition. In the end, the club failed once again to survive the third round after losing against Spartak Moscow. At the end of the 1997/98 season, the club's situation had worsen significantly. For the first time in his career, Häßler had to fight to avoid relegation. Feeling the squeeze, he once more showed his extraordinary skills and scored four goals in the last three matches of the season. Despite Häßler's great performances, Karlsruhe lost its last match in a dramatic season final and was relegated from the Bundesliga. Due to a contract clause, Häßler could leave Karlsruhe immediately on a free transfer. He decided to join Borussia Dortmund, which had won the UEFA Champions League in 1997. There he met the later assistant of the German national team, Michael Skibbe, then with 32 years the youngest head coach in the history of the Bundesliga. In the course of the season, there were some serious disputes between Häßler and Skibbe because the latter entrusted the midfield leadership to Andreas Möller whereby Häßler had often to take place on the bench. In the end, he made only 18 appearances and never played over the full 90 minutes. Disappointed about his season in Dortmund, Häßler left the club towards Bavaria und signed a contract with 1860 Munich. He spent four very successful years in Munich and became an important part of the team. Already in his first season the club reached a sensational fourth place in the Bundesliga. After they failed to win against Leeds United in the qualification for the UEFA Champions League, Häßler and his team participated in the UEFA Cup. But also with 1860 Munich he failed to overcome the competition's third round. In the following two years, the club took part in the UEFA Intertoto Cup but didn't manage to succeed. After the 2002-03 season, Häßler left Munich to finish his career in Austria. In 2003, Häßler signed a one-year contract with the Austrian club SV Salzburg. He made 19 appearances and reached a seventh place in the 2003-04 season before he announced his retirement. 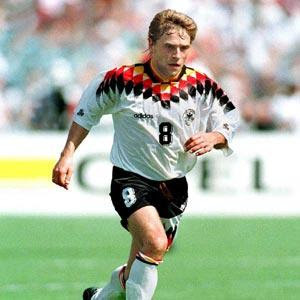 Overall, Häßler chalked up an entertaining 539 games and a total of 81 goals throughout a football career in which he was voted Germany's footballer of the year in 1989 and 1992. Although he is considered as one of the best German footballers of all time, he didn't win a single major club title, having lost the UEFA Cup final with 1. FC Köln in 1986, the Coppa Italia final with AS Roma in 1993 and the DFB-Pokal final with Karlsruhe in 1996. FKA and Curl should both be 10 points higher, he is among the top 5 set piece takers of all times, same goes for his crosses, LPA should be orange at least. Also TECH is underrated, 93 minimum. Mentality I see in whites, BB shouldn't be higher than 70. Such a great player, I have the luck to be old enough to have enjoyed seeing him play. 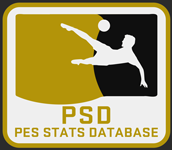 Some stats from konami set are better, such as passing, free kicks, stamina. He wasn't quite this fast either. Similiar technically to players like Modric or Mata today. Well I watched the full game between Germany and Bolivia from 1994 inaugural match and it's true I've focused 100% on bolivian players...but I have to say that eventhough wasn't paying attention that much on their players (just in body battles and corners etc cause when I'm watching/rating teams I focus in off the ball and defensive movements when they don't have the ball) I was impressed by this guy's match. Take this with a pynch of salt cause it was only one match and I knew this player only by name, but damn it...he played really well in my eyes. He was as a kind of all around RMF...I was impressed about his leg force and stamina, the guy kept running the whole match, trying to connect with the strikers and making some great movements here and there...he was a nightmare to his marker (Cristaldo). I'm watching that in 1996 he was AMF...didn't expect that cause he seemed one of those great RMF's from 90's with dynamic, being a running machine and a cross master. Just wanted to point this out cause he seemed me a great great addition to that team...even when I wasn't impressed at all by Germany in that match taking into account they were 1990's champions and Bolivia was the weakest team in the group.